Cancer is the result of changes in cells undergoing abnormal growth and uncontrolled. Increasing the number of abnormal cells form lumps that is generally called a tumor or cancer. Not all tumors are cancerous. The cancerous tumor called a malignant tumor, whereas the non-cancerous tumors called benign. Benign tumors usually a blob of fat that encased in a container that resembles a bag, benign tumor cells do not spread to other parts of the patient's body. Via the bloodstream or lymphatic system, often the tumor cells and the resulting toxins out of the compounds and spread to other parts of the body. The cells are then spread will grow in new places, which eventually form a bunch of malignant tumor cells or a new cancer. This process is called metastasis. Breast cancer including cancer among the most widely discussed because of ferocity that often end in death. Breast cancer will show the uniqueness in the attack sufferer. Indicated by attacking the malignancy of cancer cells surrounding nomal, especially theweak cell. Ajan Cancer cells grow quickly, so that patients will enlarge the breasts are usually not bleak. While attacking normal cells surrounding cancers also produce toxins and remove cancer cells from the elderly to rupture. Toxins and cancer cells would spread throughout the bloodstream. Therefore, we often find cancers that grow elsewhere. In severe cancer often occurs bleeding. In Indonesia the number of breast cancer patients occupy the second level after cervical cancer. Why would someone with cancer, she said DO NOT KNOW But medically it can be said that a person likely to have cancer because the carcinogens, immune and psychological aspects. Cancer cells were constantly growing, and can not die. Cancer cells can not be back to normal (irreversible). 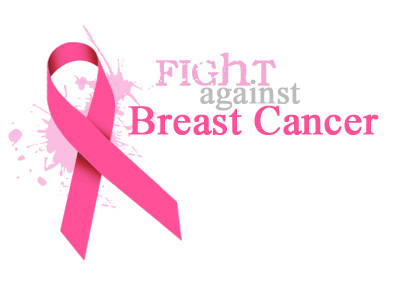 Breast cancer arises as a result of abnormal cells formed on the breast withuncontrolled speed and irregular. These cells are the result of gene mutations withchanges in shape, size and function, as our body cells of the original. Mutations of this gene is triggered by the presence of a foreign material that goes intoour bodies, including food preservatives, MSG, radioactive, oxidants, or carcinogensproduced by the body's own naturally. But the latter is very rare because the bodynaturally neutralizes carcinogenic substances produced by the body. Together with the flow of blood and lymph flow, cancer cells and toxins they producecan spread throughout the body such as bone, lung, and liver unnoticed by the patient. Therefore not surprising that in patients with breast cancer found a lump in the armpitlymph nodes or other lump. In fact, there are also cancer of the liver and lungs asmetastasisnya cancer. Patients often cough that never healed or prolonged shortness of breath. When we are declared by the doctors tested positive for cancer, the first reaction thatarises is extraordinary fear and despair, especially if the cancer is already in an advanced stage. Should excessive fear of this should be avoided, because this fearcan weaken us a psychic who ultimately may decrease the body's immune or immunepower which exist naturally in the body. The attitude of resignation and begin tounderstand the following cancer treatments who want to do, would be very helpful inthis cancer disease management. The study, found a slightly decreased risk of breast cancer in pre-menopausal womenwho breastfeed their children at the latest. The materials allegedly Trigger Cancer. Triggers are basically NOT YET KNOWN cancer for sure, but there are ingredientssuspected as a trigger cancer. The material in question is called carcinogenic. Chemical compounds, such as aflatoxin B1, ethionine, saccarin, asbestos, nickel,chromium, arsenic, charcoal, tarr, smoke cigarettes, and oral contraceptives. Physical factors, such as solar radiation, x-rays, nuclear, and radionukleide. Genetic weakness in the body's cells, thus facilitating the emergence of cancer. In early-stage breast cancer there is (0, 1 and 2) and advanced stage (3 and 4). Stage 0 means there are cancer cells in the lining of the mammary gland or milk ducts but has not spread into surrounding fatty tissue. In stage 1 and 2, the cancer has spread from the milk glands or ducts to nearby tissues around it. At stage 2 cancer sometimes have begun to interfere with the lymph nodes. Stage 3 breast cancer may be spelled out in local advanced stage, where the tumor diameter was more than two inches and often has spread to lymph nodes near the breast. In stage 4 metastatic cancer has, meaning the cancer has spread from the breast and lymph nodes around the armpit, to other parts of the body such as bone, liver, lungs and brain. Cancer of the breast that can swell and rupture, if you have this rotten and rancid odor coming out of breasts. Another complaint is shortness of breath due to lung cancer suppress. Prohibition or Precepts Breast Cancer. If we are stricken with breast cancer, we should avoid or reduce consumption of some types of food intake. Because there are times when certain foods or drinks will spur the growth of abnormal cells, including breast cancer. There is growing among which contain substances that if diasup will stimulate the enlargement of cancer. There is also containing the carcinogenic effect preservation process. And there is also that, if consumed would reduce the effect of drug in the body. Recommendation on Breast Cancer Treatment Period. There are a few recommended foods to be consumed on a regular basis. Consumption may be only one type of material or a mixture of several ingredients. If we're stricken with breast cancer, it is recommended to drink the juice following food ingredients, do one glass twice a day. Drink half a glass of soy milk as well, do it twice a day, or consumption is always 100 grams tempeh every day. According to Drs. Vivian K. Tjahjadi, from Karyasari, Oboth for breast cancer is a bitter stew, white turmeric, seaweed and taro pearl mice, drunk in the morning afternoon and evening. This herb if taken 12 days, the pain will slowly fade away and the lump is also lost. Breast will return to normal without pain. By drinking this potion chance of breast cancer completely healed.